Hey, look who's back: me, that's who! The Home with House podcast has been on hiatus for the past few months as I took a break for some personal reasons, but now I'm back on the decks and ready to deliver. I'd like to thank everyone for hanging around during my break, and also for all the support and kind comments you've left on this blog. 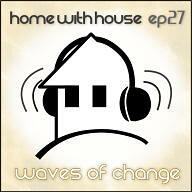 Episode 27 is now here and fresh for you all to download! Coming back from my break I have a lot of built up energy that I need to release, and I'm using this episode to channel that energy. And let me tell you, I've missed it. As many of you know, I use these mixes as a musical outlet for frustrations, excitement, relaxation, happiness, sadness and all sorts of emotions. Many past episodes have been themed after my various moods and have mirrored my feelings of the time. This mix is no different. I'm coming out of a dark tunnel right now, but there is light at the end. As such, this mix starts off deep and morose, but builds its groove and energy to end with a bunch of happy, upbeat and hopeful tracks. The past few months have been rough, but I have a lot of hope and excitement for the possibilities of the future. And that's what this mix represents. 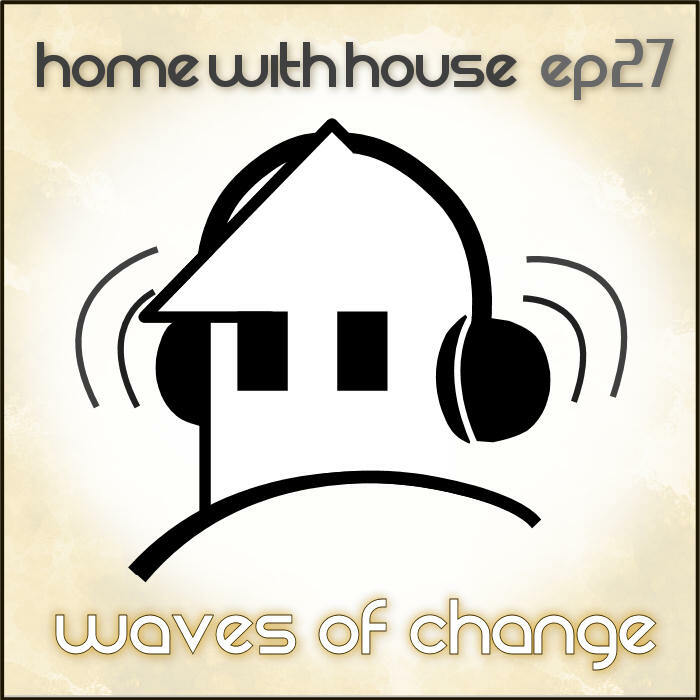 So sit back and dig in, episode 27 is called "Waves of Change". I just came home and found that you are really back in business! Finished listening this absolutely wonderful mix and again realized how much I missed your monthly mix. Yeah baby, you're back!!! I love the new mix so much!!!!! was just stepping by and saw that you published a new mix:)..thank you very much for your wonderful work.. YES! I was going through some seriouse HwH withdrawl!! Thanks for the new mix - do you ever play live in Toronto? This is my first comment, but I have been downloading your sets for a while and putting them on my Walkman. I just wanted to say I love your taste and style, your music is both chill and pumping. I find you mix them well and elegantly fuse the two together very wonderfully. I am very glad that you take the time to not only spin your excellent sets, but then upload them into MP3 on the net. You don't know how many of us appreciate that. If you didn't make the great effort to upload your sets, I would have absolutely no way of enjoying your music. Thank you, I'm sure I will enjoy Waves of Change as much as I enjoy your other sets. One last thing, I especially enjoyed your past two sets "Dreamfalling" and "Reflections". I have listened to all of the sets you have uploaded and I liked those two the best. No matter which direction you go in with your music flow I will enjoy it nonetheless, but if you could make more sets with the Dreamfalling and Reflections mood and feel, I would be in heaven! Great to have you back!Your track selection as always, just perfect! This Joint is Hot Yo!!! WHAT A MIX!!! Missed you the last three months!!! hey man glad you're back..I love your mixes, thanks for doing these! Excellent Mix. Just catching up on all these. Love the Delerium and Page tracks so far.